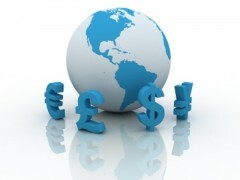 The Forex market is a virtual place where currencies can be exchange with one another. One can buy freely currencies and can sell them. Both types of transactions are done at the exchange rate from the moment of the transaction. The launch of the Forex market was done in 1971, when currencies were able to fluctuate, depending on the conditions of the market, instead of being of a fixed value. The countries were the ones that decided the currency prices, but these days the exchange rate is able to fluctuate quite a bit, depending on the market conditions and the events that take place on a daily basis. This is the biggest market in the world and it has the biggest amount of liquidity. On a daily basis, the market sees transactions of 2 to 3 trillion US dollars. With this type of trading, the transactions are done either by a program or by experts, without any involvement from the person that invests the money. Since the Internet and computers are so common in all households of the Western world, access to forex systems which are advanced is easy, so as long as you have that computer and Internet connection, you can trade on the Forex market. Once you have those, you only need a decent trading software and an account with a Forex brokerage firm. The automated Forex trading is done with minimum input from the investor. Once you tell the tool what currency you want to buy, at what price you want to buy and the price at which you want to sell, it will do the work for you. This way, you can do Forex trading without a lot of input from a specialist. As long as you have an idea on how this market functions, you can start making money from it. When it comes to automated Forex trading, one way to do it is to create your own system to trade with, which uses an existing forex system. You can change the parameters of the program and you can test the way it works on the market. The second way to do it is to use a managed Forex and in this case a program will do the transactions instead of using humans. This type of system will save a lot of time and it allows the user to use multiple Forex trading accounts at the same time. As long as the market is properly monitored, the investor can do a good job with the help of these tools. The benefits of this type of automated system are many, one of them being that whatever the time might be, your transactions will go through, even when you’re sleeping. If the right price is offered for a currency, your automated system will buy it, even if you’re sleeping at the time, as long as you instructed it to do so. One nice thing is that it takes out the psychology and the human emotion from the transactions, which can prove detrimental to your bottom line. As long as you have a nice strategy in place, the automated system can take care of the actual transactions, making sure that your emotions will not get in the way of your profits. Since this tool is automated, it’s also capable of doing multiple transactions at the same time, even if they’re different currencies. You can take advantage of fluctuations in any pair of currencies you want, as long as you tell it in advance how it’s supposed to react when the fluctuations appear. A Forex trading software which is automated will try to anticipate falls and rises of the exchange rates, so that it can make trading decisions that are profitable. The important thing to remember is that you have to customize the software to react as you want it to react. In order to be able to customize a software of this type and create a strategy which will work even when it’s automated, you have to first understand the Forex market and how it works. You need to know as much as possible, from the way it works, to its rules, the fundamentals, how to do research and what you can expect when certain events take place.